American alternative-rock heroes The Breeders have announced the details of their first new album in 10 years, All Nerve, out on Mar. 2, in addition to sharing the title track. The band’s classic lineup of Kim and Kelley Deal, Josephine Wiggs and Jim Macpherson will return for their new album. 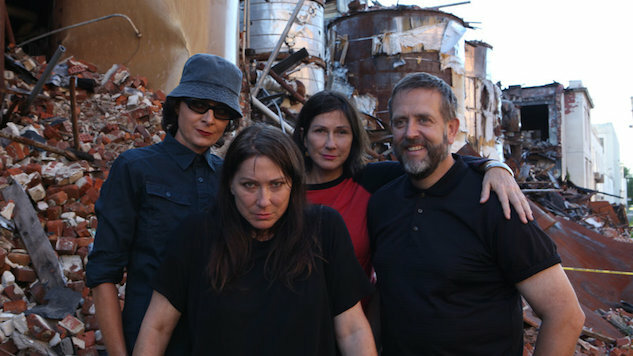 The Breeders returned to the stage in 2013 to celebrate the 20th anniversary of their LP, Last Splash, and have been working on new material since then. A 2018 album release was confirmed back in November. Lead All Nerve single “Wait in the Car,” released in October, is a vindictive alternative-punk track featuring The Breeders’ trademark bratty lead vocals and a “Teenage Kicks”-like guitar riff. “All Nerve” itself is a dynamic track that ping-pongs between subdued verses and crunching choruses. Revisit “Wait in the Car” and stream “All Nerve” via Spotify below (or via your service of choice here), preorder All Nerve here, and check out the album’s tracklist and artwork further down, along with The Breeders’ world tour dates.